welcome! nice of you to stop by! 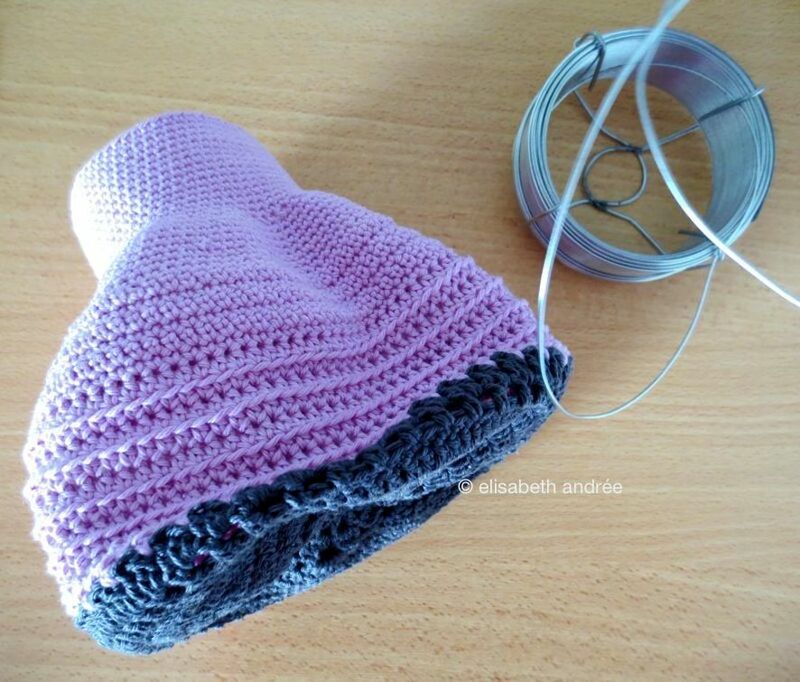 for the lilac shawl in the works (below) i – again – work with katia peques acrylic yarn, this time with crochet hook size 4.00 mm. the hue is a slightly lighter than the lilac of this stole/scarf. for my current wip i also use a stitch pattern of mypicot and the route to find the diagram is: mypicot.com – openwork & lace – pattern number 2037. you can find it here and this is the direct link to the pdf. 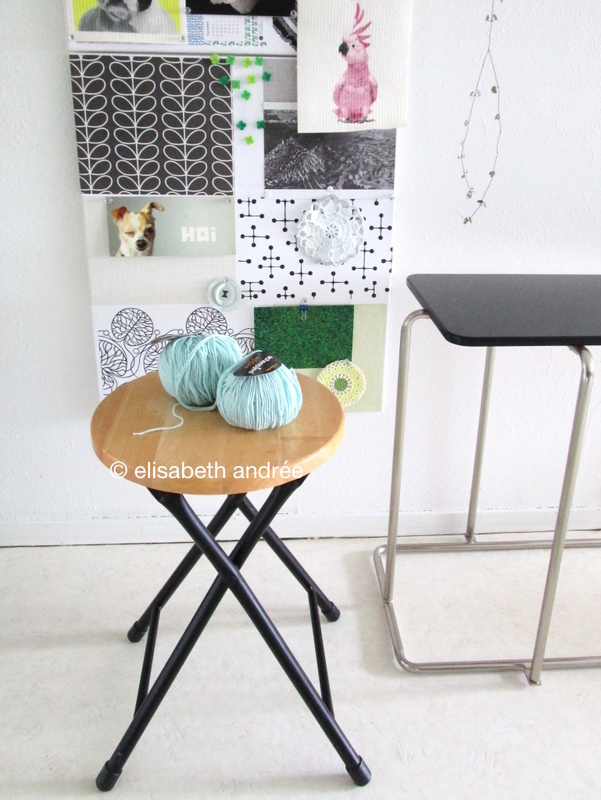 a project for the nearby future is a cover for the top of this small side table and i think i know what to make but i will tell and show you another time. until then keep crocheting, knitting and all the other creative activities that makes the world a little more beautiful. thanks for visiting and hopefully until next time! Categories: crochet, inspiration, project done, wip | Tags: cover, crochet, crochet bag, crochet stitches, inspiration, mesh bag, scarf, shawl, stitch pattern, wip | Permalink. 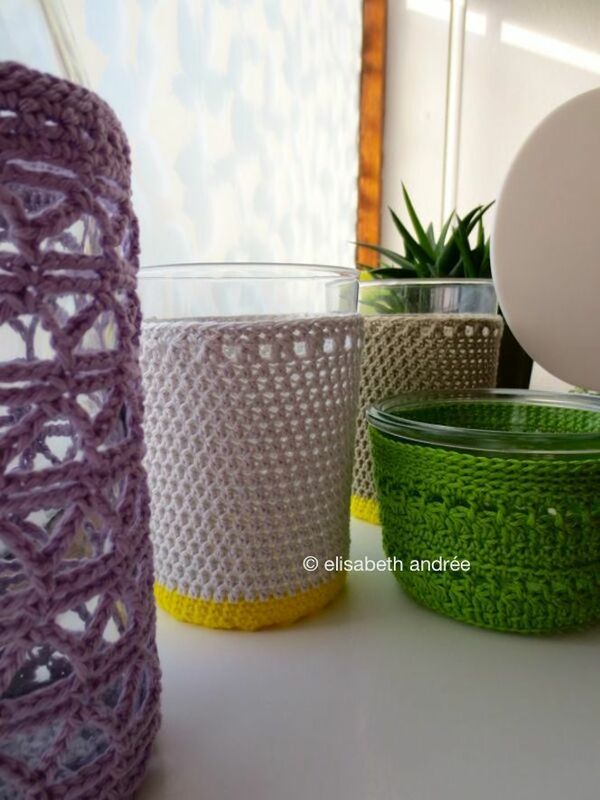 last weekend i made it very easy for myself, only a few household chores and some shopping at the supermarket, and of course i watched football (that was not very relaxed…) and of course i crocheted. 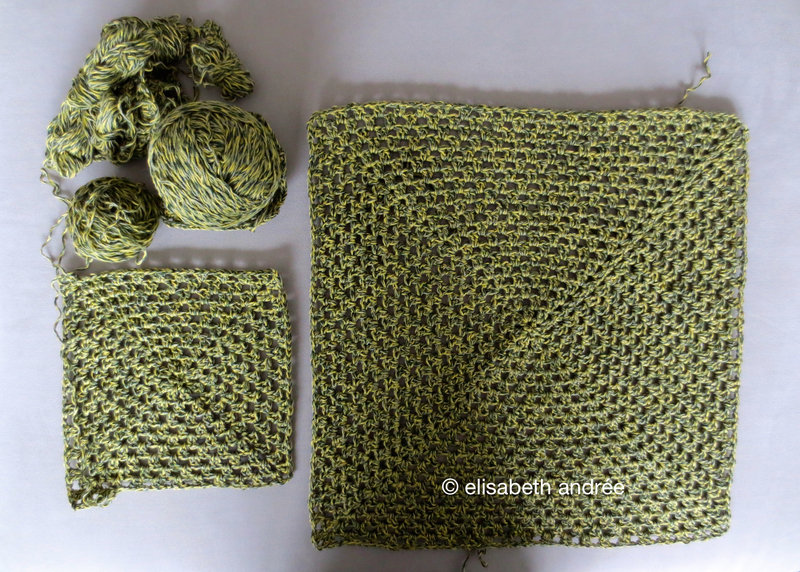 ​like this lacy summer scarf for which i’ve used this stitch pattern and anthracite colored cotton viscose of yarnstudio. i found a ball of yarn (label unknown) that has escaped the trip to england, see here for more info on that. the yarn i have turned into a few small items: a glass jar cover, a floral motif and a flowery garland. if you are interested the pattern for the garland can be found via this link and then look for number 8. the only difference with the original pattern and this pink one is 10 chains between de flowers in stead of 20.
the pattern for the flower motif you can find via this link. that was it for today. hope your monday was a good one, my best wishes for the new week!! 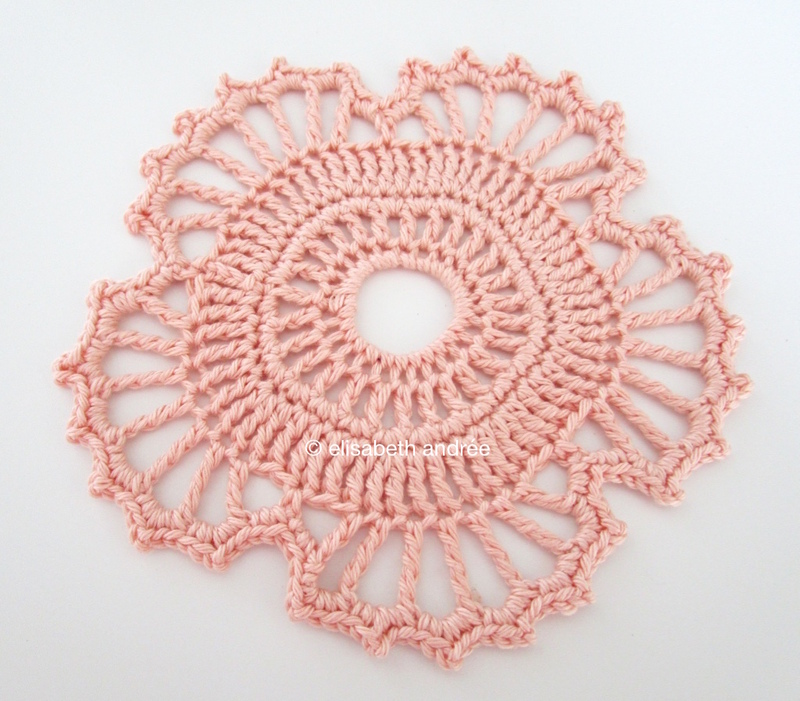 Categories: crochet | Tags: cover, garland, glass jar cover, motif, scarf, vase cover | Permalink. how sweet of you to drop by for a visit! since my yesterday’s blog post about my new cushion cover, i have not much to tell, i think, but you might find it nice to see a few photos. no progress concerning the ‘crochet object’ that you could see last week, except the purchase of wire (50 meters! i could not find a smaller amount). 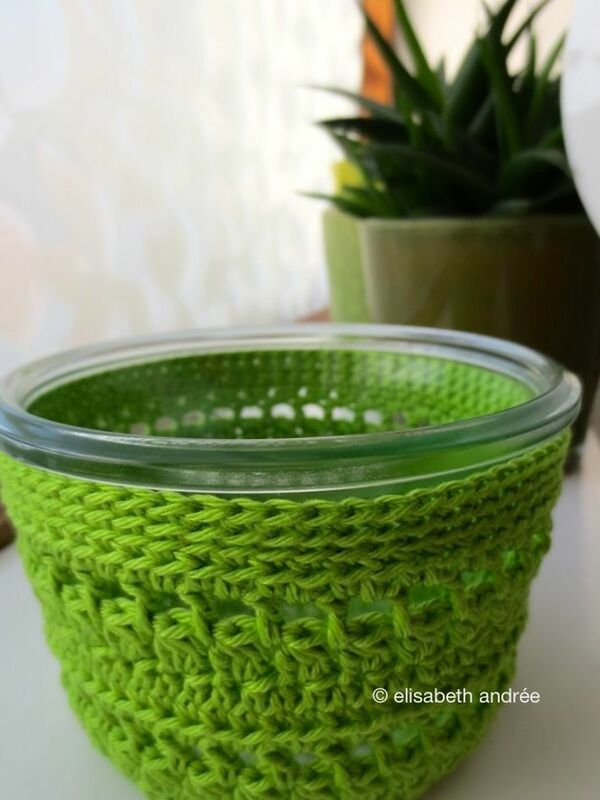 last evening i made a green cover for a glass jar​​, i was looking forward to work with my favorite color after so much beige and pink during the last few weeks. the result is not very special, but when i see it on the windowsill it gives me happy feeling. or is it the sun shining after days of gray weather? and here are pictures of bottoms in a row, bottoms of covers i mean, and i’m a little in love with the flower motif (green and gray). 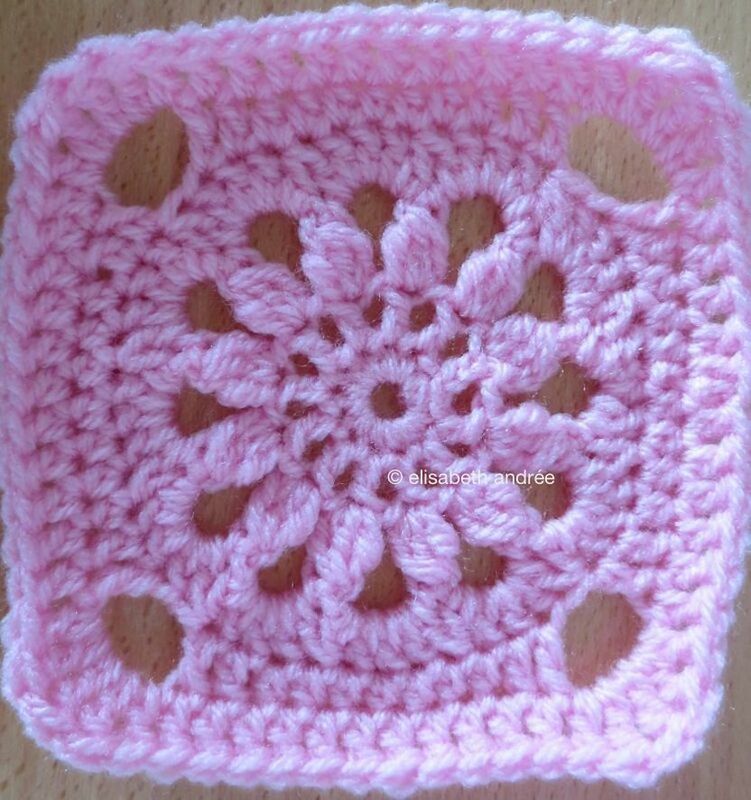 after i had finished the green cover, i tried with pink (yes pink again) acrylic yarn to make a square with that motif. i am not satisfied yet, so i will continue testing. 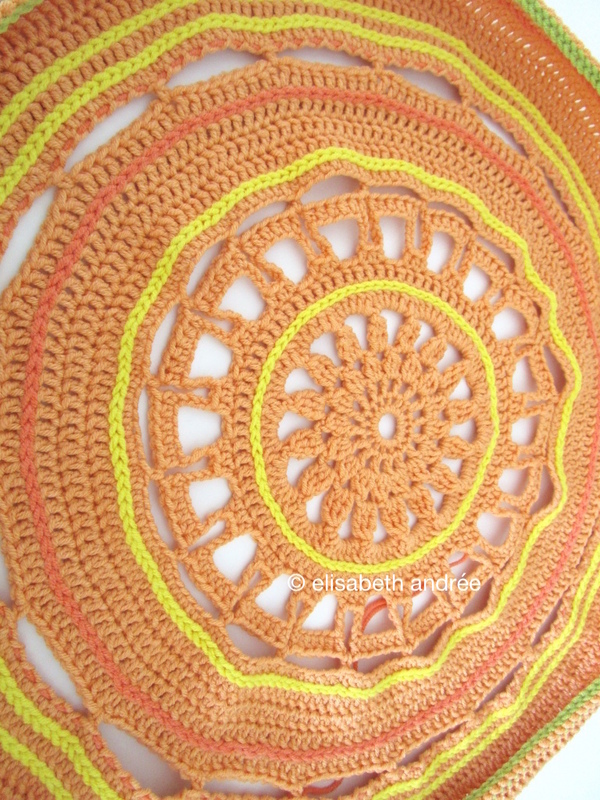 Categories: crochet, wip | Tags: cover, square, vase cover, wip | Permalink.